Dried lavender, lavender bags and dried bunches to buy online. Grown in the UK and in the lavender fields of Provence, our dried lavender is high quality and highly fragrant. 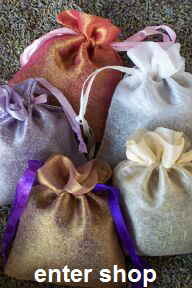 Buy your dried lavender loose or choose from a wide range of bags hand-filled by us. for hints, tips and advice with all your dried flower projects such as potpourri making, lavender recipes & how to dry your own flowers.